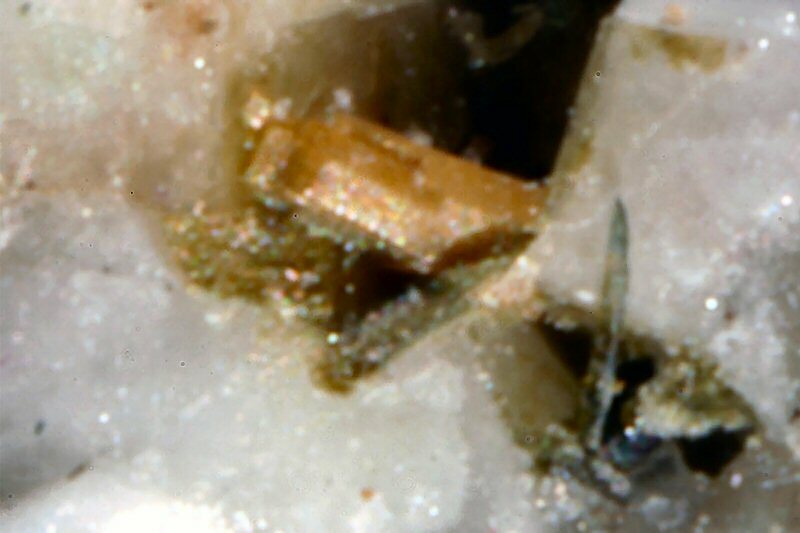 Comments: Golden brown crystal of gjerdingenite-Mn, in white elpidite. Location: Gjerdingselva (Gjerdingen), Nordmarka, Lunner, Oppland, Norway. Scale: Crystal Size 0.02 cm.